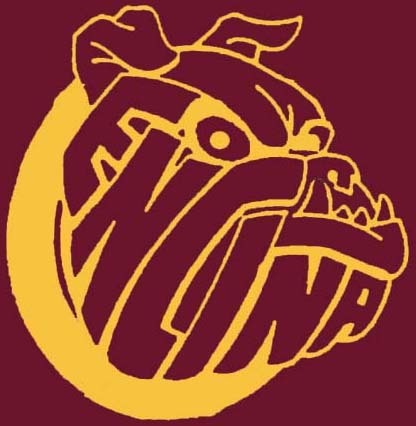 ENCINA CLASS OF 70 - The Reunion Committee has locked on the date and location for our 50th Class Reunion. The event will be held at the Lake Natoma Inn located in Folsom on Saturday, October 3, 2020 from 6:00 - 11:00 PM. The room and patio are a perfect environment for our event. Event reservation and lodging costs will be communicated in 2020 once firm costs are provided by the Inn. We plan to have a golf outing on October 2nd, and may also have a Wine & Paint party that day for those who do not golf. We want to reach as many of our classmates as possible. If you wish to attend, please send an email to Guy Blair at gwblair52@comcast.net. We will put you on our mailing list and will send you information as it becomes available. The Class of 70 held its 40-Year Class Reunion on Saturday, October 9th at the Sheraton Hotel in downtown Sacramento. The Reunion for us, the committee, was the success we hoped it would be. We have been left with even more wonderful memories and hope you feel the same. Everyone had a wonderful time visiting, reminiscing and renewing old friendships. Originally, we projected an attendance of 100 people at the Reunion. We were very pleased to have a total attendance of 130 classmates, spouses, faculty and friends. All enjoyed the music of Shelley Burns and the Avalon Swing and the Memorabilia Table was a big hit. We hope to see you in 2015. From 20th reunion courtesy of Gloria Reynolds. These folks were together from Howe Ave School to Encina! All those interested in helping to plan a 35-year reunion are welcome to attend. The 1970 Class Directory lists contact information for your classmates. Please submit your contact information. FBI arrests American Communist Angela Davis. US Supreme Court rules for school busing to achieve racial desegregation. Jimi Hendrix & Janis Joplin both die drug-related deaths at age 27. Adademy Awards, Best Picture - "Patton"
Top movie - "Love Story"
Top TV show - "Marcus Welby, MD"
Sonny Liston dies, age 39. Paul Ronald Smithers, of Sacramento, CA, born on March 15, 1952 in Los Angeles, CA, passed away on January 29, 2019 in Sacramento. He was loved by many and will be dearly missed. He had a passion for playing the guitar and sharing Jesus with others. Friends and family members are invited to attend his celebration of life on Saturday, February 16th at 2:00 p.m. at The Church in Sacramento, 2041 Wyda Way, Sacramento. James "Jim" Edwin Graves, 64, of Citrus Heights, CA., passed away Wednesday September 21, 2016 peacefully at his home surrounded by his lovely wife and children after a courageous battle against esophageal and liver cancer. A celebration of his life will take place Saturday, October 1, 2016 at 10:00 AM. The service will take place at Mount Vernon Memorial Park and Mortuary located at 8201 Greenback Lane, Fair Oaks, CA. 95628. Reverend George Dawson will be officiating. Memorials may be sent to the Mortuary on Friday September 30th for the service. Jim was born February 21, 1952 in Sacramento, CA, the eighth and final child to William and Lucille Graves. He graduated from Encina High School in 1970 and went on to serve his country in the US Army. After suffering a life threatening injury while serving in Vietnam, he returned home a permanently disabled veteran. He married his high school sweetheart and had 2 children, his son JD in 1975 and daughter Amy in 1977. He worked for Lovatie Brothers delivering wine and spirits for the next 10 years. In 1981 he entered the Academy for the California State Police and served his community for the remainder of his working career until his retirement in 2006. During his time as a police officer he served many roles, from street patrol to special investigations. His most distinguish honor was to serve several governors and key dignitaries in their security detail(s) in a department retained through a merger with the California Highway Patrol. He continued until his retirement where he spent the final years of his career working with the Department of Threat Assessment, a distinguished division of the CHP. Benny Joe Sanguinetti passed away peacefully in Sacramento on May 15, 2016 at the age of 63. Born in Sacramento on June 6, 1952 to the late Charles Lawrence Sanguinetti and Dorothy Jean Sanguinetti, Joe is survived by his sister Cindy Lee Sanguinetti, his brother Tony Ray Sanguinetti, his sons Joshua Lawrence Sanguinetti and Joden Paul Sanguinetti, his daughter-in-law Kristen Hadley Sanguinetti, and his grandson John William Joseph Sanguinetti. Joe was accomplished at anything he put his mind to but was passionate about music. Joe's guitar was like an extension of his body, and he always played with heart. As a member of several groups, Joe performed throughout California and Nevada. Joe was a member of Landmark Baptist Church where he played guitar and sang in the choir. We celebrate Joe's return to his Heavenly Father for this is one of the greatest gifts of all. His faith in God and his devotion to his family supported him throughout his life and ultimately gave him peace,. At Joe's request, no services will be held. Published in The Sacramento Bee on May 29, 2016. Kevin Brown, class of 1970, passed away last week. He was interned at the Glenn Ellen Cemetery in Bonita, CA on October 28, 2014. His funeral was at the San Diego Mission, where he and his wife Becky were active members. Kevin had retired from the San Diego Police Department as a Criminologist after 20 years of service. His gentle soul will be missed. CHULA VISTA -- Kevin Brown left this world of travails on Tuesday, October 21, to be with Our Lord. He leaves behind his grieving wife Becky, his mother-in-law MarLynn Blakely, his brother-in- law John Blakely, his sister Patti Scott, and many other relatives and good friends. He worked for 20 years for the San Diego Police Department and five years for the New Mexico State Crime Lab. He loved his home and garden, his cabin, his friends at Toastmasters and the Mission. Viewing will be at Glen Abbey in Bonita Monday evening, Oct. 27th, from 5-9 p.m. with a rosary at 7 p.m. A funeral mass will be Tuesday morning, the 28th, at 10 a.m. at the Mission San Diego, with burial to follow at Glen Abbey. He was such a blessing to his family, and his loss is immeasurable. Published in U-T San Diego on Oct. 25, 2014. With sadness, we announce the death of Skip Spence from a tragic accident in Folsom, on Monday, September 22, 2014. Skip was born in Sacramento to Shirley Baker and Daniel Spence on September 2, 1951. He married his 7th grade sweetheart who became his wife of 43 years, Jennifer. Together they opened and operated their business Custom Plastics for 38 years, retiring in 2011. He was an excellent businessman, past president of the Woodwork Institute, and past member of the Folsom Chamber of Commerce. He enjoyed spending his time as a volunteer docent for the Folsom Powerhouse and was awarded 2014 Volunteer of the Year. He is survived by his wife Jennifer, daughter Keri (Chris) Marmas, son Christopher, granddaughters Amelia and Keri, mother Shirley (Ray) Baker, sisters Karen (Rudy) Saenz, Sue (Bob) Welch, in-laws Sue and Al Franzoia, Mike and Cookie Puthuff, and many relatives and friends. His brother Randy, son Timothy, and father Daniel preceded him in death. Skip was an avid outdoorsman, especially enjoying hunting and fishing with his faithful companion "Gage" by his side. He was a thoughtful, compassionate, generous man and will be missed by all who knew him. I don't have full details, however, Charlie (Charles Morse) from the class of 1970 died last night. He lived in either Orange County or LA County. He had problems with his liver and was on a list for a transplant, but got liver cancer before that could happen. Toward the last 6 months he didn't want to talk to anyone and quit e-mailing. He was great friends with a lot of the class of 1970, including myself, Tony Geremia, (sorry I am not going to remember everyone's name) and was best friends with my ex-husband, Ian Jeffcock. He drove a black VW bug and Ian a red one. We went on a lot of motorcycle rides together and he was involved in Speedway motorcycle racing. When he moved to Orange County, he was working with racing car teams, including Paul Newman's. The last time I saw him was a couple decades ago when he was working for a New Zealand team in Orange County. I also was living in Orange County. In high school in was back in the days of pot. Maybe not everyone tried it, but I would say a majority did. I got his work number from a friend and called his business. I asked for Charles Morse. When he answered I asked hi if he was the Charles Morse that drove a black VW bug and smoked marijuana. You could hear the fear in his voice and he said "no". I said "you did too. You used to pick me up for school and we would smoke a joint on the way." He laughed when I finally told him who it was. I drove out to his work and visited him and gave him a big hug. RIP my sweet Charlie. There is no more pain. SinceGraduation: Education, then Kaiser for 36 years. Floral design school, and recently some Horticulture classes. Trivia: I love scrabble. I play 11 different games of scrabble on line. BestFriends: Being an emancipated minor, I worked full time at 16, and went to school. It was hard back then, and I had no friends. Kids: Lisa is 41, she lives in West Chester PA. She has 2 daughters Madison 15, and Cameron 10. Madison is an honors student, and Cameron is a very promising gymnast. GradeSchool: Jos. Bonnahime, Mission Ave.
MemorableTeachers: Mrs Sarver, 5th grade. Born October 16, 1952, Fort Ord, California. Passed away February 28, 2013 with her devoted husband, mother, and sister at her side. She fought a courageous battle with cancer for one year. Diane is survived by her husband Kevin of 37 years; mother Carol Martin; sister Marlene Murray (Bill); sister Linda Smith; grandchildren De Shawn, Alexcis, and Ross Jr.; and daughter-in-law Shontae Clifton. She was preceded in death by her son Ross (2009) and her father Loyd Smith (1980). Diane taught school for 32 years, retired in 2012. Children/grandchildren: Holly Adams-25 years old, and Eric Adams, 23 years old. SinceGraduation: Lived in England; attended The London School of Economics; lived in Carmel; attended the University of California, Berkeley for undergrad; moved to Washington DC in 1980; studied Master's degree at George Mason University, and am currently a special education teacher for students with emotional disabilities for Fairfax Public Schools in Alexandria, VA. I also raised two wonderful children; was widowed in 2007, and happily remarried in August of 2012! Trivia: Love to travel with my husband, and just returned from Seoul, So. Korea, where I visited my daughter. I like running, gardening, reading, and going to museums! Hobbies: I love to travel around the world when I am not teaching-love movies, art , concerts, and reading military history and biographies. Kids: My daughter, Holly, is living in Seoul, So. Korea, where she is teaching English. She received her BA in Art from Virginia Commonwealth University. My son, Eric, is completing his Master's degree at Radford University, and serves as an MP in the US Army National Guard. MemorableTeachers: Mr. Sando--THE BEST, bar none! He was cool, hip, and made me love science to this day! Even though he taught science at Jonas Salk, he did end up coming to Encina. I also loved Mr.
Figenshu, and Mrs. Brown for English. Siblings: Russ Graehl, who attended Encina for his Freshman year. AlumniInContact: I stay in touch with Sharon Vroman and Mark Melnicoe, also from the class of '70. Kids: Good Girls,But Dads always say that. MemorableTeachers: Mr Tracy,He always made me set in the back row. FavoriteMemory: None,I can wright about,but there were many. Stories: NONE, I didn't like school. Comments: I have had a great life once I got out of California. In memory: In lieu of flowers, donations may be made to UCSF Foundation, P.O. Box 45339, San Francisco, CA 94113-0339. Valerie T. Hall, a recent California Energy Commission administrator who helped pioneer rules that made the state a national model for energy conservation in new buildings and appliances, died Dec. 21 of cancer. She was 58. A longtime state employee, Mrs. Hall joined the California Energy Commission in 1978 as an entry-level analyst and rose to deputy director for efficiency and renewables. She helped draft policies and implement regulations that resulted in refrigerators, washing machines, TV sets, light bulbs and other household electronics that use less power than earlier models. She championed modern construction standards for energy-efficient homes and businesses. She oversaw programs to develop renewable energy sources, including geothermal, wind and solar power. Mrs. Hall testified often before California lawmakers on energy conservation policies. She was widely regarded among federal and state regulators nationwide as an expert on efficiency standards. "Val was at the forefront of the state's energy efficiency movement, which the rest of the nation is now emulating," commission spokeswoman Susanne Garfield said. "She had a gift for translating the regulatory process to people and explaining how energy efficiency can improve the quality of life for Californians." Born in 1952 in San Mateo, Valerie Tamburri moved to Sacramento at age 4 with her parents and sister. She studied ballet for 11 years at the Marguerite Phares School of Dance and was a song leader at Encina High School. She earned a bachelor's degree in anthropology at California State University, Sacramento. She worked part time for the state in college and was at the California Public Employees' Retirement System before the energy agency. She met Sacramento restaurant owner and chef Peter Hall at one of his establishments, the Fish Emporium, in 1979. They married in 1982 and had a son. Mrs. Hall was proud of her contributions to California's energy efficiency policies, her husband said. She eagerly joined the public movement to reduce fuel consumption that was under way when the California Energy Commission was created in the 1970s. She retired in August, when she was diagnosed with stage 4 cancer, her husband said. "She had a passion for improving the energy situation and saving the world," he said. "She was able to look back and see a lot of things that had changed for the better." SinceGraduation: Went to college at Ricks College in Rexburg, Idaho. Graduated with AA degree and transferred to Brigham Young University in Provo, Utah to finish education. Entered Chiropractic College in Pasadena and transferred to Cleveland Chiropractic College in Kansas City, MO. Married Linda, whom I met at BYU, on Valentine's Day 1976. Osmond...dragged up from the audience. Knew on of Elvis' best friends while in Chiropractic College. Accomplished Photographer and have won numerous competitions. Had 2 photos placed in Sac Bee in their Photo competitions. BestFriends: I would run around with Neil Hankin, Scott Harper and their gang of fun loving individuals. My closest friend was Eric Proserpi from the class of '71. He passed away a couple years ago in an auto accident. I spoke to him every week for the past 38 yrs. Truly miss him. Hobbies: Photography as mentioned earlier. Kids: Krista has her masters degree in Psychology and is a school psychologist with the Huntington Beach School District. Eric is a Doctor of Chiropractic in Rocklin, CA, married and has 4 children. Whitney is a cosmetologist and lives with her husband and son in Vancouver, WA and is expecting child #2. Brooke is married and currently lives in Idaho and shortly moving to Colorado for her husband's work as a fireman. No drugs or alcohol in any of them. Now, you are wondering if they truly are MY kids...they are. MiddleSchool: Winston Churchill in Sacramento and Mother Lode Academy in Sutter Creek. MemorableTeachers: Mr. Warren (? )....he said I was absent because I wasn't in my seat when the bell rang so I got up and walked out of the class. Why torture yourself if you "aren't there?" FavoriteMemory: Girls...although you couldn't have paid me to talk to one. James A. (Jim) DiGirolamo was born April 27, 1952 in Pittsburgh, PA and passed away May 2. He was a behavioral therapist and co-founded the Crisis Intervention Hotline in Sacramento. He and his wife Carol established the California Institute of the Healing Arts & Sciences. Jim will be remembered as a caring and kind soul. Services will be held for Jim on Friday, May 7, 2010 at 1:00 pm at St. Ignatius Loyola Catholic Church, 3235 Arden Way, Sacramento. Preceded in death by his parents Glade & Geneva & sister Elma. Survived by siblings Chris, Neil (Nadine), Evalynn, Anna & Maren (Warren), also by his children Jamie and Danny & their families, and many nieces, nephews and friends whom he loved very much. 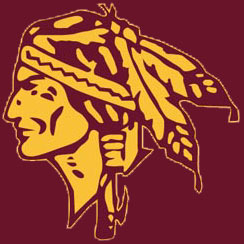 Encina grad '70. Big fan of NASCAR, model cars & playing darts. Wake at Trino's Friday May 7th, 5:30pm & Memorial service at LDS Church, 2730 Hurley Way, Saturday May 8th, 1:00pm. Born on October 9, 1952 and passed away on Sept 19, 2009. Born and raised in Sacramento. Beloved father, grandfather and friend. He is survived by his four daughters, Angelita Aldave, Mary-Ann Aldave, Minna Goecker, Jennifer Ellis, their mother Luisa Goecker, sole nephew Robert Goecker, and his ten grandchildren. Served proudly for 20 years in the U.S. Navy, and in that time served on the U.S.S. Carpenter, and served two tours in Vietnam. He enjoyed fishing, beekeeping, scuba diving, and selflessly volunteered time to the community. Viewing will be at Sacramento Memorial Lawn at 6100 Stockton Blvd on Friday, Sept. 25 from 2-5 pm. Memorial Service will be held on Saturday Sept 26 from 10-2pm at Amvets Post 1 at 7215 Lindale Dr. Will surely be missed and loved by all! Could you please pass on to the class of 1970 that my younger sister, Victoria (Vickie) Johnson Sulski, died in December, 2008 of terminal lung cancer. She was diagnosed in Oct and died in Dec. She never smoked. She was 56. Ellen Johnson, class of 1969. Services are Feb. 1 for Victoria Sulski, who died of cancer Dec. 17 in Paradise. She was 56. A native of Sacramento, Mrs. Sulski also lived in Long Beach, Santa Cruz and Paradise. She earned a master's in fine arts from Long Beach State and was a nationally known artist and muralist. She lived in Santa Cruz for 20 years and was an instructor at Cabrillo College. She taught drawing and painting at Cabrillo, Monterey Peninsula College, the College of San Mateo, Chico State and Soledad Prison. She was a founding chair of exhibitions for the Monterey Bay chapter of the Women's Caucus for Art. Those close to her say she was a spiritual seeker who loved to travel and spend time with her loved ones. SURVIVORS: Partner of 25 years Peter Bartzcak. SERVICES: Memorial celebration and potluck noon to 2 p.m. Feb. 1 at the Cabrillo College Gallery, 6500 Soquel Drive, Aptos. Passed away January 15, 2006, while at his home surrounded by the love and strength of his family. Mike was born and raised in Sacramento, he grew up in a family of painting contractors. Since the age of 18, he has been painting the landscape of his hometown. In 1996, he fulfilled his life-long dream by starting his own company, Home Painting & Decorating. Mike was a master of his trade and with enormous pride he passed on his expertise to his stepsons and many others. Simply put, Mike was a great guy with a big heart. We will miss him always and love him forever. Preceded in death by his parents Burr and Margie, Mike leaves behind his adoring daughter Rachelle, granddaughter Lexi, his "little old lady" Jeanie, and her children Crissy, Justin, Roger, and their children (especially Anastasia). "You are our brother, you are our friend - our bond with you will never end." Deeply missed by his sisters and brother, Kay, Buzz, Sherry, Patti, and Cindy Lou. Also many other close family and friends and his faithful dog Andy. A celebration of Mike's life will be held on Friday, Jan. 19 at 2:00 PM at No. Sac. Funeral Home. Interment at East Lawn and following a gathering at the family home. Visitation on Thursday, Jan. 18, at 11:00 AM to 6:00 PM, all are welcome. A heartfelt thanks to Melinda & Sandy w/ UCD Hospice for all their care and support. Former Fairbanks resident Thomas Rohn Hovenden Jr., 55, passed away March 11, 2008, in Vallejo, Calif., from respiratory failure, with his sister Marty by his side. Tom was born in Twin Falls, Idaho, on Dec. 21, 1951, and spent his early years on the family farm. He graduated from Encina High School in Sacramento, Calif. and later toured much of Europe by motorcycle. Having survived those adventures, in 1972 he followed his brother Steve to Alaska, with his long-time friends, John Rulison and Steve Gough. Tom worked on the trans-Alaska oil pipeline and also had a career for many years as a real estate agent with Realty, Inc. Tom enjoyed boating and fishing with his friends on the Kenai Peninsula and at Chitina, and tours on his BMW's. Tom's adventuresome spirit then took him to Russia as a heavy equipment broker. Tom had many stories and adventures there and made many friends and became proficient in the Russian language. Tom moved to the Bay Area of California in 1995 and continued his profession in heavy equipment leasing. Tom was predeceased by his mother, father and younger brother, John Hovenden . Tom is survived by his sisters and brothers-in-law, Robin and Bob Margeson of North Carolina and Martha and Brian Law of California; brother and sister-in-law, Steve and Robyn Hovenden of Fairbanks; aunt, Mary Lou of Nevada; nieces and nephew, Rebecca and Sienna Hovenden and Jake Hovenden , all of Fairbanks; and good friends, Don Lowell, Steve Gough and George Rahn, all of Fairbanks and John Rulison of California and many others who will miss him. The family will spread Tom's cremains on Mount Tamalpias and in Bodega Bay, north of San Francisco, at a later date. A celebration worthy of Tom will be held at a date to be announced later. All of Tom's friends will be invited. Friends: Besides the class of '70 many friends were also friends of host brother Ken Levy, class of '71 and Russ Levy, class of '73 and neighbours. I warmly remember Michaela Allen, Leslie Burpo, Eric Mandel, Dave Levin, Valerie Russel, Mark Syftestad and many others. Kids: Gabriela (1987) just graduated from college, former synchro swim champion. Mirjam (1989) will complete college this year, former state track champion. Smart and beautiful as they are - like their mother - they charm everbody. Both girls have travelled extensively with us in the U.S. Most memorable experiences were trips to the South West and North West, most noteably the viewing of mustangs in Oregon and visiting Mount St. Helens, holidays in SW Florida for many years and visiting my sister in law and her family in Cambridge (Mass.). Story: This bio is dedicated to Ken Levy, class of '71, who was a most prominent young political leader when it was god's will to take him away from us in 1980. Furthermore we will never forget Barbara “Bobi” Levy, “Mom” to dozens of foreign exchange students. Ken and Bobi will be in our memories forever. Watson, Karie Reese and Kristi Reese, all of Smartville, Ca, parents Richard and Jeanette Reese, brother Steven Reese and sister Laurie Reese, all of Sacramento, Ca. Also survived by 8 grandchildren. Graveside Services will be held at 2:00 P.M. on Friday, Dec. 1, 2006 at the Smartville Cemetery, Smartville, Ca with Pastor John Thomas of the Truth Tabernacle of Olivehurst Officiating. Contributions may be made to a charity of choice. Arrangements are under the direction of Lipp and Sullivan Chapel. Published in the Sacramento Bee on 11/29/2006. grow and become caring and responsible adults. We have a lot of fun when we're all together, unfornately that is only about once or twice a year. Now that they are starting families I can tell their kids all the things they did to give me all my grey hair! Grade_school_friends: Friends from grade school?? I have a hard enough time remembering where I parked my car! children, Richard and Krystel Bell and Donald & Greg Hutton. He has two grandchildren Violet Bell and Connor Hutton. His nieces and nephews loved Ken also his longtime friends, Don and Karen Peterson. He served four years in the Army and was a signal maintainer for 10 years with Southern Pacific Railroad and continued his career at Regional Transit. His interests were fishing, camping, computers, HAM radios and music along with many others. We will all miss his wit, adventurous spirit, and love for the outdoors and astronomy. He loved looking at the cosmos through his homemade telescopes so much that one day he cut down part of a Walnut tree that was blocking his view. That was Ken, LOL. The family will gather for a private service. We thank all of you for your kind words and support during this time. A Big THANKS to his doctors at the VA and to UC Hospice for their service during our time of need. Ken will never be forgotten. You can make donations in his honor to the VA Sacto. Med. Center, 10535 Hospital Way, Mather, 95655, or to UC Regents Hospice, 3630 Business Dr. Sacto., 95820. Published in the Sacramento Bee on 5/7/2005. All who knew Kim Rinehart are shocked and saddened by his sudden death on January 28, 2005. He was born in Sacramento on September 23, 1952, and grew up in the Arden area. Shortly after graduating from Encina High School in 1970, Kim found employment with the State of California, working 28 years in the capitol's Legislative Bill Room and for the past six years in the mail room at the Department of Motor Vehicles. Kim enjoyed his work. He will be missed by many co-workers. Kim was preceded in death by his father, Donald A. Rinehart, and an infant twin brother, Tim Rinehart. Kim's surviving and grieving family members include son Michael Donald Rinehart, mother Frieda A. Rinehart, brother and sister-in-law Mark and Cary Rinehart and their four children. Kim's former wife, Cynthia Jacobs Rinehart, and the large extended Jacobs family are also keenly feeling the loss of Kim. All are invited to attend a memorial service at Central International Fellowship, 4760 16th Ave., on Friday, Feb. 4, at 4:00 PM. Published in the Sacramento Bee on 2/3/2005. past-times were reading and helping out with the local swim team. She made many contributions to Encina High School, among them working Bingo's with the Booster Club on behalf of the Health Academy and the Cheerleading Squad. She was also a proud member of the Health Academy Parent Partnership Involvement program. Dea Fay Harris was born September 23, 1951 and was taken on January 22, 1997. She will always be remembered for her beartiful smile and her warm heart. She was loved and will be greatly missed by her daughters Holly and Kerrie and her husband Steve Harris. A student at Clark Collage and Marylhurst College, Barbara "Bobbi" J. Grammar, 42, died of cancer at home in Vancouver Monday Nov. 7, 1994. She had lived in Vancouver five years. Born May 21, 1952, in Sacramento, Caif., she enjoyed playing pool and shopping at garage sales. She was president of Oxford House. Survivors include her father, James Gonyea of Sacramento, Calif.: her mother and stepfather, Patricia and Dawayne Rasmussen of Sacramento, Calif.; one daughter, Sharnon Warwick of Auburn, Calif.: one son, Larry of Chico, Calif., three sistors, Toni Palmer of Citrus Heights, Calif.: Dawn Gonyea of Petersburg, Alaska and Kelly Gonyea of West Sacramento, Calif. and two grandchildren. A funeral will begin at 11 a.m. Thursday at Memorial Gardens Funeral Chapel. Burial will be in Evergreen Memorial Gardens Cemetery. Published in the Sacramento Bee on 2/1/2004. Of Sacramento, CA, June 15, 2003, a native of Michigan, age 51 years. Father of Heather Weihs and her husband Keith. Grandfather of Kyra and Kaitlin Weihs. Brother of Mikel Lamb. Friends are invited to attend services Wednesday at 10:00am at PRICE FUNERAL CHAPEL (6335 Sunrise Blvd., 725-2109). Interment Mt. Vernon Memorial Park. Published in the Sacramento Bee on 6/22/2003. Debbie was born on September 5, 1952, in San Francisco, CA. She passed away peacefully from all earthly bounds on June 12, 2003 after a lengthy illness. She is survived by her mother, Laura May Vogel; father, Leslie P. Busick; brothers, L. Phillip Busick and wife Kimberli, Nick Busick and wife Gretchen, and Christopher Busick; grandmother, Millie Busick Hepner; aunts, Eldora Rossi and husband Carlo, Beverly Wulf and husband Tom; uncle, Gary Christian and wife Bonnie; nieces, Leslie and Alexandria Busick; nephews, L. Phillip Busick Jr., Jack Busick and George Busick among many other family and friends. Debbie was known as a beautiful and intelligent woman. She possessed unending generosity and a deep love for her friends and family. Debbie had a great love for all living things and we will miss her very much. Visitation will be held at Whitehurst Chapel (Fresno) on Thursday, June 19, 2003 from 2:00 to 7:00pm. Funeral Services will be held at Whitehurst Chapel on Friday, June 20, 2003 at 10:00am. Interment will follow at Belmont Memorial Park. Remembrances may be made in Debbie's name to: Deborah Anne Busick Foundation for the research of Eosiniphilic Fasciitis, PO Box 4150, Incline Village, NV 89450. Published in the Sacramento Bee on 6/19/2003. Age 50, of Ladson, SC, died Tuesday, June 11, 2002 at a hospital in North Charleston, SC. Born April 19, 1952 at Mather Field AFB, Sacramento, CA. She was the daughter of William and Carol Patterson. Sue was a 1970 graduate of Encina High School in Sacramento. She was employed as a hospice nurse in CA until August 2001. She was naturally drawn to the aged and the very young. She was compassionate and her gift was in helping people not able to care for themselves. Sue also enjoyed animals and gardening. She is survived by two sons, Doyle Ray Mitchell, Jr. (Dejay), Phoenix, AZ, and Dennis Edward Goroll, N. Highlands, CA; her parents Bill and Carol Patterson, Sacramento, CA; brother Michael David Patterson, Fallbrook, CA; two sisters, Vicki Rene Zoradi, Mission Viejo, CA; and Valori Ann Parks, Granite Bay, CA; grandson Nicholas and granddaughter Ashlynn; many nieces and nephews; and her best friend of thirty years, Pat Northrop, Ladson, SC. A celebration of Sue's life will be held at her parents' home on Saturday, June 22nd at 11:00 AM. Memorials may be sent to a trust fund for her grandchildren's college education, c/o Susan L. Goroll Memorial Fund, Edward Jones Investments, 100 C. Morgan Place, Summerville, SC 29485. A co-founder of Brocade, Bonderson is responsible for long-term product strategy and market definition initiatives in the role of Vice President of Strategic Development. Bonderson has more than 35 years of technical experience in the technology industry, spanning hardware design and engineering, engineering management, and product development. Prior to founding Brocade, Bonderson held management positions at industry leading companies including Intel Corporation, where he managed hardware design and peripheral control development; and Sun Microsystems, Inc., where he led I/O subsystems development, product qualification and hardware and systems engineering. Before founding Brocade, Bonderson was Director of Hardware Engineering at Sun Microsystems, where he was responsible for I/O Subsystems Development. He also served as a Member of the SMCC Product Strategy Committee, co-owner of the Mass Storage Strategy Working Group, co-owner of the Display Strategy Working Group and head of the SMCC Product Qualification Group. While at Sun, Bonderson also held the position of Hardware and Systems Engineering Manager, where he developed several products including the SPARC Server 390, SPARC Server 490, the Sun 3E VME board product line and Sun's "Tempest" products. From 1983 to 1986, Bonderson was Engineering Manager at Qualogy, Inc. (formerly Data Systems Design), where he was responsible for the definition, planning and development of mass storage controllers, mass storage subsystems and integrated system enclosures. From 1976 to 1983, Bonderson served as Manager of Peripheral Controller Development, Integrated Systems Operation for Intel Corporation. In this role, he was responsible for the definition, planning and development of Multibus I and Multibus II peripheral controllers, the iSBC-215B Winchester controller and the iSBC-216?" tape drive controller. During his tenure at Intel, Bonderson also served in several other engineering roles in Solid State Disk and mainframe processor memory development. Bonderson received a Bachelor of Science in Electrical Engineering from California Polytechnic State University. When Dan Friedlander fled Sacramento for the Bay Area 30 years ago, the style-conscious young man meant to put his hometown behind him for good. "At 17 or 18 you're looking for a certain kind of stimulus, and 30 years ago in Sacramento you just couldn't find it," Friedlander said. "The (Victorian) houses were being torn down, and the concrete (K Street) mall was being built. And that was the most exciting thing happening." Friedlander has spent the last three decades establishing himself as an icon of cutting-edge design in San Francisco. His sprawling LIMN store in the South of Market district is considered one of the nation's leading sellers of high-end, modern furniture. But now Friedlander, nearly 50, has come back to Sacramento. Not to live, he quickly points out, but back in a significant way nonetheless. He has returned as a missionary of sorts, a man seeking to convert Sacramentans to the glories of clean lines, smooth leather upholstery and playful shapes. And he is doing it in an unlikely place to sell a $10,000 leather couch. Almost three years ago, Friedlander opened a branch of LIMN just off Del Paso Boulevard in North Sacramento, one of the city's poorest, most crime-ridden neighborhoods. Before scouting for a store location, Friedlander, who grew up in suburban Sierra Oaks, could recall being on Del Paso Boulevard only once before: as a teenager to view a 3-D pornographic movie. But Friedlander said he chose the area largely because of its gritty feel. "We drove out to Watt Avenue, and it just wasn't interesting to me," he said. "We're selling an international, urban product." Friedlander since has bought several other properties in and around the boulevard, and is planning a major expansion. He has become the new engine for the establishment of an arts district along Del Paso Boulevard, a dream that sputtered last year with the closing of the acclaimed Michael Himovitz Gallery. "He's buying everything. I love him. I want to kiss him," said Bob Slobe, whose family developed North Sacramento and still has considerable investments in the area. In a few months, Friedlander will open a separate 5,000-square-foot showroom for an Italian furniture line, B&B Italia, in the Building on the Boulevard, 1616 Del Paso. The building has sat nearly vacant since the Himovitz Gallery closed last year. Friedlander has recruited Matt Woolston, the executive chef from gourmet food and wine purveyor David Berkley, to open a new restaurant in the building, in which two previous eateries failed. The restaurant will offer a fixed-price menu on Fridays, by reservation only, and cooking classes on Thursday. "Our intent is to seat no more than 40 at a time so everything is perfect," said Yvette Woolston, who with her husband is opening the restaurant. Friedlander bought the dilapidated Arden Motel around the corner from LIMN, and plans to turn it into offices for art-related professionals. Another building, at 1113 Del Paso Boulevard, will become LIMN's warehouse. It will be open to the public Friday afternoons and will offer furniture at discounted prices. If Friedlander's business ventures endure, he "could make that whole neighborhood," said Mark Friedman, a local developer and longtime LIMN customer whose family owns half of Arden Fair mall. The effort to turn Del Paso Boulevard into an arts district has been inching along for a decade. A handful of new galleries and restaurants have located there, but others have closed. The area is still pocked with empty buildings and worn facades. At night, it is a forbidding place with little pedestrian traffic. At the same time, the street boasts some charming architecture and Deco-style buildings that appeal to art enthusiasts. Longtime businesses such as Iceland ice skating rink and Li'l Joe's Restaurant keep plugging away. Friedlander believes Del Paso someday will be a bustling street where people can stroll from one business to another. The South of Market area was "a lot rougher than this neighborhood" when LIMN moved there in the late 1980s, he said. Now, it is home to Pacific Bell Park baseball stadium and the new San Francisco Museum of Modern Art. Trendy lofts and restaurants line the streets. Friedlander lives behind his South of Market store with his wife, Kazuyo, and 2-year-old daughter, Hanna, in a striking three-story loft that he designed. He has a 15-year-old son, Cyrus, from a previous marriage. The couple also operate a restaurant, Cafe Monk, a few blocks from the store. People in Sacramento frequently wonder aloud how Friedlander can afford his aggressive expansion here. He is reluctant to divulge details about his finances, but says he has paid for his various local endeavors mostly with loans from Sacramento Commercial Bank. The Sacramento Housing and Redevelopment Agency also provided assistance for renovation of the LIMN store. When Friedlander was looking at opening a second location, he considered both San Jose and Sacramento. "I made many trips to San Jose and many trips to Sacramento, and I chose Sacramento, and everybody said, 'You're crazy. You'd make so much money in San Jose,' " Friedlander said. He said the high cost of real estate in San Jose would have put enormous pressure on him to sell large quantities of furniture right away. In Sacramento, he could afford to take a more relaxed approach. LIMN also could make a greater mark in Sacramento than it does in the Bay Area, where there's so much cultural competition, he said. "Here, it's clear that we can make much more of a difference in terms of affecting people's lives and perhaps bettering them." Friedlander points out that no San Francisco mayor has set foot in LIMN since it opened 20 years ago. But in Sacramento, Mayor Heather Fargo and the entire City Council have been by. Still, no matter how badly he wants to enlighten the locals, Friedlander admits they aren't exactly knocking down the doors to ogle his $2,000 Cassina chairs, $5,000 Ligne Roset beds and couches that go for anywhere from $3,000 to $35,000. During one recent weekday, the store was devoid of customers for several hours. But Friedlander notes, while sales have not gone up as fast as he initially expected, they do rise almost every month, leading him to conclude LIMN will flourish here. "When something new and exciting happens in San Francisco, everyone seems to find out about it in weeks," he said. "In Sacramento, you have to multiply that in years." After nearly three years here, he still is trying to figure out how to get the word out. Recently, in a rare concession to commercialism, he put up about 30 billboards, though concedes "they're a little obscure." They feature the LIMN name, a bed, a comically cocked dog's head and the slogan "roll over." The store's address is nearly impossible to see from a moving car. The store itself has no sign outside, just some giant metal mesh furniture to signal what it does. Sometimes, people come timidly to the door and ask if it's OK to come in. Friedlander doesn't understand their bafflement. With the wire mesh furniture, "We have all the symbols," he said. Slobe, who has become friends with Friedlander, called him a "wonderfully naive person." "He's in the clouds a lot," Slobe said. He comes down with ideas like his latest novelty: a 25-foot Airstream vacation trailer outfitted with Italian furnishings, smooth cherry paneling and a Gaggenau gas burner in the kitchen. The price tag: $175,000. Friedlander said the Airstream would be ideal for an actor or actress on location or for a wealthy couple needing an on-site guest house. The first such Airstream is on display on a rooftop patio at LIMN in San Francisco. He plans to outfit future models at the warehouse on Del Paso. While the price tags may seem elitist, Friedlander's staff members, who tend to be devoted, insist he wants to bring modern design to the masses. The idea, they say, is to buy one piece at a time, over a long period, rather than outfitting a whole house at once. "I started out by buying a lamp," said Kirk Chase, a Sacramento LIMN employee. Chase, a former legal researcher, said he shopped at the San Francisco store for 15 years before coming to work for Friedlander. You won't find any overstuffed couches at LIMN. The angular, steel-legged furniture builds on the functional ethos popularized in the early 20th century by architects such as Walter Gropius and Mies Van der Rohe. Friedlander grew up in a suburban ranch house that his father built in Sierra Oaks, where he was exposed to art and design from an early age. One of his father's cousins was a furniture designer in Los Angeles. His paternal grandfather and great-uncle, both Russian immigrants, were painters. His father, Herzl Friedlander, a Sacramento doctor, collected art. "We had a Wayne Thiebaud sitting in our house once for three weeks," Friedlander said. "It was $10,000, and my father couldn't afford to get it, so he didn't. Now, it's worth $1.5 million." Initially, Friedlander aimed to emulate his father and become a doctor. But he said he was "hopeless" at chemistry during his freshman year at the University of California, Berkeley. He wound up transferring to the art program and holds a degree in environmental design. "He liked lovely looking things; he was always drawn to that," said his mother, Betty Friedlander. He eventually set up an architectural practice with Michael Guthrie. The pair designed restaurant spaces such as as the Deco-style Bix in San Francisco and the Italian villa Tra Vigne in St. Helena. In 1978, Friedlander founded Arch Drafting Supply, which later evolved into LIMN. His San Francisco loft is filled with paintings, nearly one-of-a-kind modern furniture and pieces he designed himself. Artworks include a portrait of Friedlander and Kazuyo by Chinese painter Liu Xiao Dong, whose work has been featured in the LIMN gallery. But in personal appearance, Friedlander easily could be mistaken for a carpenter working on one of his projects. He wears blue jeans and untucked cotton shirts. He has a soft voice, but offers his opinions freely and emphatically, particularly when it comes to Sacramento. His wife said she appreciates Sacramento's quiet, tree-lined neighborhoods. "It feels like home," she said. But Friedlander remains frustrated with the city he left so long ago. He complains about suburban sprawl, the lack of pedestrian-friendly streets and cultural amenities such as museums. Three decades later, he still rails about the city's decision to allow freeways to be built through its downtown. "People don't take chances in Sacramento," Friedlander said. "They're so careful, and life is so short. "We're taking chances." The Bee's Mary Lynne Vellinga can be reached at (916) 321-1094 or mlvellinga@sacbee.com . Order of the Eastern Star, and was secretary at Sacramento High School. Her husband, brother, and several great aunts and uncle survive Sharon. A Memorial Service will be held at Warehouse Christian Ministries, 9933 Business Park Drive, Rancho Cordova, January 12, 2002 at 10:00 AM. Bio: University professor for 20 years,writing, publishing, and teaching. Trivia: Hitchiked accross the U.S.A three times. World travel with my wive and two daughters in the 1980s, 1990s. Junior_high: sorry, I grew up in Washington! Favorite_memory: 1. driving down Encina corridors in a teacher's volkswagen van. Story: too many, check you later..
Thomas Victor Henley, 46, died Nov. 3, 1999, in his Sacramento home. A Sacramento native, Tom was co-owner of Integral Orthotics and Prosthetics in Carmichael. He was past president of the Northern California Chapter of the American Association of Orthotics and Prosthetics, and an adjunct professor at the California State University at Sacramento Assistive Device Center. He was also a past officer of the Golden West Orthopedic Group and a former AAOP representative at the California Coalition of Allied Health Professionals. Tom graduated from Encina High School, American River College, and continuing education classes at the University of California at Los Angeles School of Medicine. He loved rock 'n roll and dreamed of being in a band. He enjoyed hunting for antiques at garage sales and was always available to help his friends and family with various projects. Tom was known for his generosity and his raucous sense of humor. He is survived by his son, John Victor Henley, John's sister Jessica, and John's mother, Joan Henley; and step-children Brett and Maren MacAdam. Tom also leaves behind his mother, Phyllis Henley; his brother, Bill Henley; sisters, Kathey Hale, Patricia Henley, and Bette Henley; numerous nieces and nephews; and any number of people to whom he was a loving and supportive friend and mentor. Beloved son of Max and Nadine Dimick and brother of Dan Dimick passed away at home on Oct. 12 from a life-long chronic pulmonary disease. A native of Calif. and a resident of Sacramento for 44 years, Paul spent the past twenty years working in the Mental Health Association. He graduated with honors from the University of Nevada, Reno, majoring in English literature and was a member of the Sigma Nu Fraternity. An uncomplaining champion throughout his life, he touched and embellished the lives of all who knew him. His soft and gentle personality was a hallmark of his soul, shining ever onwards for all to see. Hero to the very end, never complaining of his personal struggle, forever reiterating the words "I'm fine," Paul was more interested in supporting his family and friends than pleading for their sympathy. He will be sorely missed. In addition to his parents and brother, he is survived by Dorothy Dimick, sister-in-law, and his three nieces. Private services will be held on Friday, October 18. In lieu of flowers, Paul's family requests donations be made to either the UC Davis Hospice Program or Sacramento Mental Health Association. Bio: After graduation, I attended American River College for two years, and then transferred to UC Davis. My major continued to be Studio Art, where I focused on oil painting. My fifth year of college was spent getting my teaching credential for secondary schools. Out of 150 applications, the only job offer I received, as an Art teacher, was in Bakersfield California.I took it and spent a frustrating year in the trenches at a gang-infested school. I found out about an opening in Lincoln Unified School District, in Stockton, through my grandfather, who happened to be dating the other art teacher's mom. I was hired in 1976 and I have been with this distict since that time. I taught Art at the comprehensive high school for 17 years. With a change in administration I was moved to the continuation high school. At this school besides Art I also teach pre-algebra and reading. Trivia: I was always interested in dance but wanted to do something other than ballet,so I joined a Middle Eastern Dance Troupe in 1981, and performed at lots of festivals all over California, in my black wig and costume. It was a lot of fun being a belly dancer and physically difficult to perform the routines we did. I retired in 1986 when the director/choreographer of our company moved back east. In 1987 I joined a modern dance company and spent 2 years performing with them. Kids: No kids, just students. Grade_school_friends: I didn't have any, we moved. Memorable_teachers: Gary Pruner his painting style was very strong and he was an excellent teacher. He also changed jobs the same year I graduated so I had him as a teacher for 5 straight years. Joe Pattituci because he always teased me about my last name and I used to buy my Christmas trees from his lot.Mr. Rollins because I was always getting in trouble in that class for passing notes. Mr. Laverne Gonzales because he always looked so healthy and he was a very nice spanish teacher. Favorite_memory: David Stone hiding in one of the art closets in Mr. Pruner's room, waiting for me to come in so he could jump out and scare me to death. My failed attempt to make cherries jubilie at one of our "songleader" pre-dance dinners. I couldn't get it to light until the end so everyone had to eat around the floating matches. Never getting the choreography of the songleading routines to stick in my head and having one of my mistaken moves captured on camera and put in the yearbook. Story: Connie Kraushar helped me go to Planned Parenthood and get on the pill. Steve Halvorsen wasn't afraid of my dad. Craig Sarmento always made me laugh and was a wonderful friend. Trivia: Have lived and worked in Denver, Phoenix, New York, Madrid, Sydney, Bangkok, Mexico DF, San Antonio, Sydney and now Park City. Hobbies: Still doing martial arts (received 4th degree last year), playing the drums and skiing a lot. Just took up golf and hate it. Story: This was not well known, but Sarmento was into beastiphilia during his junior year. Bio: Went into the Air Force after graduating, did my time and came back to Sacramento. Went to Sacramento City College, got my degree, then went to work for Dept. of Corrections for 5 1/2 years, working in Susanville, San Quentin, and Duel Vocational Institute. Left the department and worked at Rancho Seco for a couple of years, got married, 12 years, got divorced. Had my own business as a Nail Technician, and Barber for 11 years. Learned to drive 18 wheeler, got married again and drove 48 states for a couple of years, came back home, worked at several other jobs and retired (I thought)for 4 years . Went back to work in April again and continue to work at the High School. Trivia: Still alive, never envisioned being this old, Thirty years since we graduated, can't believe it. Hobbies: I am a member of Sacramento Tall Club, a social club for Tall People, I'm still 6' tall, been a member for 15 years now. A fun club with great people. Love to go to Reno, slots are my favorite. Working in my yard, have 2 1/2 acres out in the Sheldon, Elk Grove area. Still love to dance and enjoy the pool. Memorable_teachers: Mr. Schuler, the auto shop instructor, because I was T/A in his class. Very cool guy back then. Bio: The college years for me involved lots of experimentation and changing my mind. I attended UCDavis, UC Santa Cruz, and Monterey Pacific College before graduating from Davis in 1977 with an elementary teaching credential. I married a man 2 years older than myself named Fred Peterson, who grew up in South San Francisco. He studied vineyard management at Davis and we moved to the Salinas Valley for his first winery job. I taught 2nd grade there until our first child was born, Ben, now age 20. We had two other children: Jamie, 19 and Emily, 16. Fred's first fun winery position was in Saratoga near San Jose where he became not only vineyard manager but also winemaker for a little winery called Mount Eden Vineyards. I also did some winery work during that time. While the 2 baby boys slept, I managed the books, paid the bills, etc. Sometimes the first baby would sit in his jumper while we did the labelling. When they were 2 and 3 years old, we moved to Sonoma County where Fred was offered a job managing a large amount of vineyard acreage for the venture capitalist (of Apple Computer), Bill Hambrecht. We also got to design and build a house on the vineyard property as part of the job. I put a lot of work into the building of the house (painting and staining wordwork, choosing flooring, fixtures, tiles; working with sub-contractors). I also worked at the kid's preschool to save money on tuition and because I enjoyed teaching. When my daughter was born, I stopped working in the classroom but continued to work on the board of directors of the school, serving as president for one term. Then when she was 2 years old, I ws ready for a new challenge and to go back to work. I couldn't imagine teaching all day and having anything left for my kids when I got home so I ventured into new territory. With the financial help of my husband's boss I opened a bookstore in 1986 on the plaza in Healdsburg where we still live. The bookstore is successful with 8 employees and a beloved bookstore cat, Dorothy. See www.toyonbooks.com. In this same year, my husband Fred and I split up. I found my true lifemate in a man named Chip Wendt with whom I now have a 4th child, Taliesen (called Tal or Tali), age 9. Chip is a poet and book publisher. We both love music and art and together we edit our town's arts council newsletter which comes out quarterly. Trivia: I sold a silk screen print I had made in a junior college class at a local art show for $200. Hobbies: I love music and sing in our community chorus (see www.healdsburgchamber.org and go to Healdsburg Community Chorus link). My husband plays acoustic guitar, currently studying flamenco, and we both love Hawaiian music. We just spent a month on Maui in a big house near the beach with all our kids and their friends and our family and friends. We love the outdoors and do some hiking, surfing, swimming. Kids: Ben Peterson is 20 and has completed one year of college at Humboldt State University. Next year he will take a year off to work with Americorps probably working with children at which is he talented. He likes sports like basketball, weight lifting, and rock climbing and he is exceptionally tall and handsome. He enjoys working in the bookstore. Jamie Peterson is 19 and has also completed one year of college at Humboldt State (though just barely). Jamie loves to read and chooses very intelligently from literature and philosophy. He is a good rock climber and likes mountain biking and travel adventures. He just started a bus boy job at the classy Chateau Souvereign Winery Restaurant where he makes great tips. He also works for his dad at his dad's winery, Peterson Winery. He hopes to travel this year and will probably go to Australia and New Zealand where his dad has winery friends who can give him a "crush" job during their harvest in January. He is also very tall and handsome. Emily Peterson is 16 and will begin her junior year at Healdsburg High. She is a better than average student and plays varsity volleyball. She is quite beautiful and is developing her singing voice by taking voice lessons. She also enjoys acting. She has lots of friends and since she started working this summer at her step-mom's busy bakery, I hardly see her. She will be joined this year by another girl in the household as we are taking in a foreign exchange student from Germany, also a 16 year old girl. And finally, we have Taliesen Wendt, age 9 who attends Waldorf Summerfield School and Farm in Sebastopol. Tali (whose name is Welsh and means "shining brow") is a very happy and talented soul. He excels in karate which he has studied since age 4. He also loves soccer. He's exceptional in art and loves all kinds of games which he does for hours on end with his father, stuff like dungeons and dragons, and magic the gathering, to mention only a few. We have also had one niece and one nephew live with us over the last few years. Julia, age 27, my sister's daughter, and Roy, age 28, my brother's son both grew up in Berkeley and came here in their 20's to work at the bookstore and found other things to do in the community. Julia is married to an Irishman and lives back in Berkeley now. Roy is saving to move back there again soon after the last 3 years here. Junior_high_friends: Marlene Morsey and Lex Anne Lester. Also Steve Sanchez. Memorable_teachers: I loved Sandy Hunt. She was so daring and experimental. We got to do role playing in sociology class. (we even HAD a sociology class, which our rinky-dink high school in Healdsburg can't do). Also appreciated Mrs.Whitman who let me use a Bob Dylan poem for an English class assignment. Ironically (since I now own a bookstore), I hated English and this helped me cope. I also liked Gary Pruner though (and maybe because) he was confusing to me at times. Mr.
Rollins was memorable but I think that was because he didn't like me since I didn't take history seriously at the time and was usually talking or writing notes. Favorite_memory: First thing that comes to mind is an experience of doing a songleading routine at a basketball game while stoned. Hmm.. it made the smiling part easy but remembering the steps became a bit more challenging. Story: Kay Harden, who was a friend in high school, but also my roomate at Davis my first year of college, lives north of me in the town of Fortuna, near Arcata (Humboldt State Univ.). We have visited each other briefly in the last few years and write email occasionally. Recently on a visit to my son's college, I picked up a local arts newsletter. Upon scanning it I discovered Kay's name and listing for her gallery in Eureka. I also ran into her picture in the Santa Rosa Press Democrat recently because she was part of a hike they were covering for some environmental issue. Small world this north coast. Bio: I worked for the State of California Department of Justice for 6 and half years prior to moving to Seattle, Washington. I was married the first time for about 3 years but that didn't work out. We didn't have any children, although we tried. In 1977 I moved to Seattle and in January of 1978, I landed a job with The Boeing Company. I have been there ever since. I married again and just recently divorced. My second marriage lasted about 15 years. My ex-husband now joins the ranks of the 10% addicted to the Internet. Since my divorce I have been working on finding out what I want and where I want to be in life. I have also met a very wonderful man who I suspect may end up being my life partner. We are in the process of buying a townhouse across from a pretty golf course and hope to move in soon. Friends: Debbie Kwoka and Rhonda Olsen. Larry Caldwell was also a great friend. He taught me how to flirt so I wouldn't feel like such an outcast at school. I have lost contact with everyone from my class. However, my sister (Lynnelle Case [Lees]) still lives in Sacramento, so I visit her from time to time. Hobbies: Golfing, roller skating, cross country skiing, dancing (learning the Lindy Hop currently), sewing and tennis. I used to own a 26' Tollycraft and my ex-husband and I would cruise around the San Juan Islands. It was fabulous. I enjoy nature walks and just watching what God has seen fit to give us. Kids: Never had any children. I do have cats, however, and they are great! Memorable_teachers: I'd have to look at the yearbook since I don't remember all the teachers I thought were memorable. I just know that several had a great influence on me. Favorite_memory: Working on the class float for homecoming my senior year. Heard_about_website_from: I just happened on it one day by accident. Bio: After graduation, I attended night school at ARJC for a few months, decided that wasn't where I needed to be, and joined the Navy in 1971. Dave Altman drove me down to Oakland to get inducted. What a bummer of a day that was. I went to boot camp in San Diego, (where my years of training in the marching band and gymnastics paid off). My technical school (Jet engine maintenance)was in Millington, TN. While I was there my father passed away. My first duty station was at the Lemoore Naval Air Station (down near Fresno). I stayed there for three years. I reenlisted for orders to Misawa Japan. While in Japan I met my wife. (a soon to be divorced young lady from Rhode Island) She came back to the States and lived with my Mom in Sacramento until I returned from Japan. I got assigned back to Lemoore, and upon my return to the States, we got married. We got the wander lust again after two years in Lemoore, so I reenlisted for orders to Sigonella Sicily. My wife is half Italian, who had Italian as a cradle language. After six months in Sicily, she was speaking fluent Italian, had a radio spot on the Southern European Broadcasting network ("Donna's phrase of the day") She also worked for Recreational services as a tour guide, and Italian tutor. I was working on P-3 engines on the base. After a year there I changed job specialties to become a "Career Counselor". I had to negotiate with Washington for orders for the folks that were due to transfer, set up reenlistments, coordinate education programs for people to get into advanced training classes etc.. When my time was up in Sicily (four years after we arrived). We decided to go to Puerto Rico. I worked as the Command Career Counsellor for my squadron (VC-8) and Donna worked for the Red Cross as a case worker. We finally decided that we had matured enough to be able to handle having a family, so we made big plans and our son was born in May of 1987 on Mother's day, one day before our 8th anniversary. When it came time to negotiate for orders again, my detailer (the guy who writes the orders) noticed that I had never been stationed on a ship before. Donna and I both wanted to go back to Japan again, so he said the only way we were going to go back was if I went onboard a ship homeported there. I got stationed on the USS Midway, and we got transferred back to Japan. Donna found out almost immediately that the Japanese love blond curly headed kids for their advertisments. She got Chip into a modeling office, and right away he started making money. They really treat kids like him like little prince. Donna also found that she could teach English to the Japanese for a fee. Lots of money to be made there. The ship I was on traveled more than it stayed in it's home port of Yokosuka Japan. While onboard, we traveled to Korea, the Philippines, Hong Kong, Thailand, Singapore, Mombasa Kenya, Perth Austrailia, Guam, and Diego Garcia. We were the first Carrier into the Persian Gulf after Operation Desert Shield was announced, and we were the last carrier to leave after Desert Storm was over. My next (and last) duty station was back in California at the Moffet field Naval Air Station. I worked as a Career Counselor, and a bunch of other things until it was time to say fairwell to the Navy. I retired from acive duty in September of 1991 after 22 years of service. When I got out I mistakenly figured I would be able to "Retire" on my pension. NOT SO!! It paid the mortgage, but that was all. I worked several different jobs and took the Postal exams. I found a place at Hewlett Packard in Roseville where I started as a security guard, became a scheduler of security guards then a trainer. The Post Office finally sent me an offer I couldn't refuse, and now I am working at the Folsom, CA Post Office in Folsom. My wife Donna is a Job developer at Crossroads Rehabilitation services in downtown Sacramento. Chip goes to Sutter middle school, is a yellow belt in martial arts at Dragon Fire Martial Arts, and is an active Boy Scout in Troop 380 in Rosemont. Trivia: I am an amateur magician. Favorite_memory: Marching band half time show at El Camino where I rode my motorcycle onto the field as the "Late Man". I ended up laying on a lounge chair in the middle of the field with the cheerleaders all around me (That was the only time that ever happened) I also got to put a pie in the face of the Marching band's drum major (Tom Parks). I great memory! For the next seven years after boot camp, I learned the art of running main frame computers and was stationed in Marysville, Alaska and Montana before I got out in 1978 and moved back to Sacramento. So began my second "life experience". My brother lived over off of Marysville Blvd in North Sacramento and there was an old mansion across the street from him for sale which was built in 1865 and sat on an acre of land. It had a lot of potential and for only $65,000 and being single at the time, I bought it. However, I needed roommates to help pay the rent so I ask a friend of mine who had a "chopper" to move in. Of course, I had to get one too. Couldn't very well go riding on a Honda when my buddy and his "Slick Willey" friends all rode harleys. So, for the next 18 months, I lived the life of a biker. What a basket full of stories that experience created. In 1985 the Air Force transferred us to Germany and for the next 7 years we experienced a way of life that was much different than living in the US; not only from a military point-of-view, but also from the personal side. Because the countries are all relatively close, we were able to take tours to practically every western European country and still afford to buy souvenirs. From the military side of things, we were there when the Berlin Wall came crumbling down and when Desert Shield/Desert Storm happened. In 1992, we transferred to Alabama (our current home) where I was introduced to the art of managing global electronic mail systems and in 1994 I retired from the Air Force as an E-7. Funny thing, the day after I retired, Unisys Corp hired me to do the same job for the AF I was doing when I retired. In 1997 I finally grew tired of dealing with governmental politics and went to work for a Santa Clara company troubleshooting global e-mail problems. The best thing about this job was that I got to work out of my home. In a nutshell, I provide technical support for the NetJunction product line. NetJunction is a message switch and directory synchronization software package that seamlessly ties disparate e-mail systems together (e.g., Notes, Exchange, GroupWise, cc:Mail, MsMail, etc.) into one cohesive global mail system. My job is to troubleshoot problems when our clients' local administrators (e.g., Time Warner, Swiss Bank, State Farm, etc.) run into problems. However, Worldtalk sold NetJunction in July 1999 to Wingra Technologies which is based in Madison WI. With regards to moving back to California, I don't think that is going to happen anytime soon. The cost of living benefits and low stress levels in Alabama are just to good to walk away from. For example, property tax on a home in Alabama runs approximately $.15 per $100 assessed value per year (e.g., tax on a $100,000 home outside the city limits is approximately $150 a year) plus it only costs $50-60 per square foot to build a new home. For example, my sisten-in-law and her family just paid $139,000 for a 2,000 sq ft home on 1 acre of land with a beautiful view of two lakes. As far as personal property tax goes, move the decimal point one digit to the left (e.g., if you are paying $500 to register your car(s), it's about $50 here). Anyway, that's what's been going on in my life these past 30 years. Trivia: See "What I have been doing since graduation"
Friends: Mark Melnicoe, Randy Smith, Michael Yue, Dan Pleman and the members of the 1967/1970 Encina HS Basketball teams. Kids: Our only son, Matthew, earned his Eagle Scout in 1998 and is currently attending the Auburn University School of Architecture. Favorite_teachers: I can't remember the names because it was to long ago, but all my teachers were great. I can't remember a bad one. Bio: I graduated from San Diego State, where I met my wife, Debbie Herman, in '75. We've been happily married since '79. Two kids: David, 16, junior at Rio Americano, and Laura, 13, 8th grader at Barrett. I moved back to Sacramento and took a sports correspondent job at the Bee in '78, moved to the news copy desk in '80 and have specialized in national and foreign news since '85. Trivia: Managed to get to Europe four times during the '70s and haven't been back since but will. My wife and I love to travel and have taken the kids to Hawaii, Florida/Bahamas, Washington D.C./Virginia/Pennsylvania, and British Colombia so far. Friends: I've kept in contact with hardly anyone from our class, which I wouldn't have expected considering how close we all were. I still on occasion see Tom Clark, Don Ward, Neil Hankin. Would like to find whereabouts of Mike Fong, with whom I went through elementary school and did a lot of things. Bio: Three years after graduation, I married Jim Peterson (Encina Classs of '69) and we will be celebrating our 26th wedding anniversary this June. We graduated from Sac State together and Jim went into the car business in Sacramento and I worked as a legislative aide to a Senator at the California Legislature for four years until the birth of our first child. We have four children, Claire, 20, Grace, 18, Audrey,14,and Jimmy, 11. We moved to Whitefish, Montana in 1991, a small community and a great place to raise a family. We are near Glacier National Park, Big Mountain Ski area, and have our horses. We miss our dear friends in Sacramento but love Montana. Bio: I married Ian Jeffcock and had 2 children (Erika, 25, and Joshua, 20. We lived in NW Montana from 1971 through 1979. We divorced and I remarried in 1984 and had my youngest daughter, Lindsay, age 13 who lives with me. When I left Montana I moved to Davis until 1987 where I worked for 5 years at the UCD Faculty Club and Vet Med Teaching Hospital. When Lindsay was born, I started my own word processing business for 2 years before I moved to S. California. There I was in the environmental consulting business for 8 years as Office Manager and Project Manager. My last job there was as an Office Manager for a firm that manufactured and installed skylights. July 1, 1998, I moved back to NW Montana where I now can see all of my children as often as I want as well as my 3 grandchildren from my oldest daughter. It is great to be back in the mountains again where the air and water are fresh and there are many stars in the sky. Trivia: One of my hobbies that I have done is hand-beaded guitar straps which I custom make. I have made 2 for Kenny Loggins and 4 for Timothy B. Schmit. I was a Loggins groupie for about 8 years and met a lot of contacts. Timothy gave me free tickets for opening night for the Hell Freezes Over Reunion Tour. I have put my straps on hold for awhile and have been spending spare time doing my family history. I have over 3300 names inputed into the computer with at least another 1,000 to enter. I have several lines going back to 600 AD and hit a line of Royalty which took me back to 400 AD. It is very interesting work. Friends: One of my best friends has always been my first husband, Ian Jeffcock. He still is and his parents, who also live up here, treat me just like I was still their daughter-in-law. Hobbies: For recreation I love being outdoors. I love camping and fishing. I love seeing the Northern Lights, waterfalls, fresh lakes, and lots of stars in the sky. Kids: My daughter Erika, 25, owns a corporation as a collection agency and is doing very well. Joshua, 20, lives mostly in Colorado Springs and loves rock and ice climbing. Lindsay, 13, is my guardian angel sent from heaven. She is a great help to me. Bio: Worked at Lawrence Berkeley Lab managing several analytical laboratories. Now the owner of a computer consulting firm. Got married last year (1997). Comments: This is a great idea!